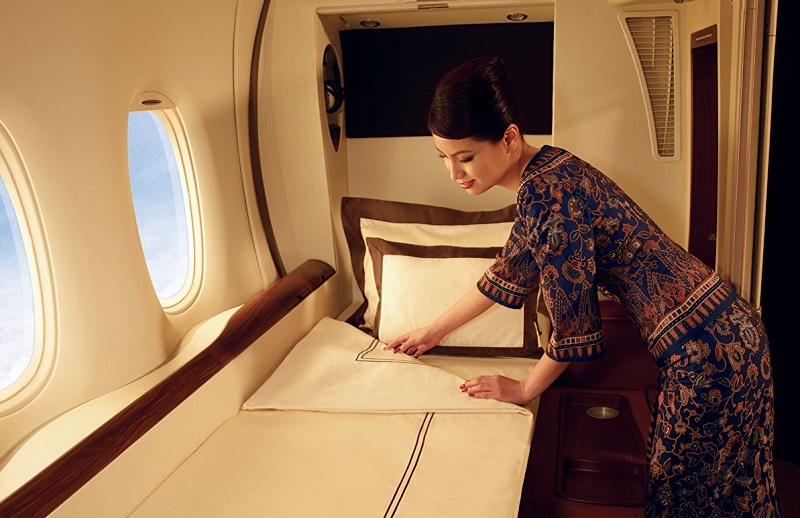 Singapore Airlines first class is one of the most stylish ways to fly, with passengers enjoying top-notch service, food and drinks – and, on the A380, the renowned first class “suites”. Singapore Airline partners with Virgin Australia, however Singapore Airlines has been restricting partner access to first class award seats, and the only way Velocity members could book these seats was by transferring their Velocity Points into a Singapore Airlines KrisFlyer account. Fortunately, it looks like this barrier has finally been removed, with AusBT reporting yesterday that Virgin Australia now has direct access to Singapore Airlines first class awards. That means Velocity members can now choose whether to book seats directly through Virgin Australia or by transferring their points to KrisFlyer. I’ve updated my guide for using Velocity Points to secure Singapore Airlines business and first class seats to reflect this change. to fly from from Melbourne/Sydney to Europe in first class you need 203,000 Velocity Points or 132,500 KrisFlyer miles (which is 178,875 Velocity Points pre-transfer to KrisFlyer) – so you save 24,125 points by going down the transfer path. Make sure you read my step-by-step guide for choosing the right option and booking your seat. As I’ve written before, flying Singapore Airlines first class is one of the best uses of Velocity Points.